When you track your daily progress, you can reach your CRE long-term goals and find ways to improve. I run a coaching company so, of course, we track everything with our coaching clients, but I also check our daily progress using key metrics myself. I like to keep score daily via Tally Counters. It is a free app for my iPad, which I conveniently place right next to my phone for easy viewing. It allows me to focus on important business-propelling activities. The daily reports allow me to accurately monitor my weekly progress. I use Massimobile to track it. It is a daily reminder I can improve. Note my daily metrics are not the same as those of a commercial real estate broker, property manager, or commercial mortgage broker. They are reflective of my position in the organization. Everyone can have their own daily metrics. Just make sure these are helpful to you. 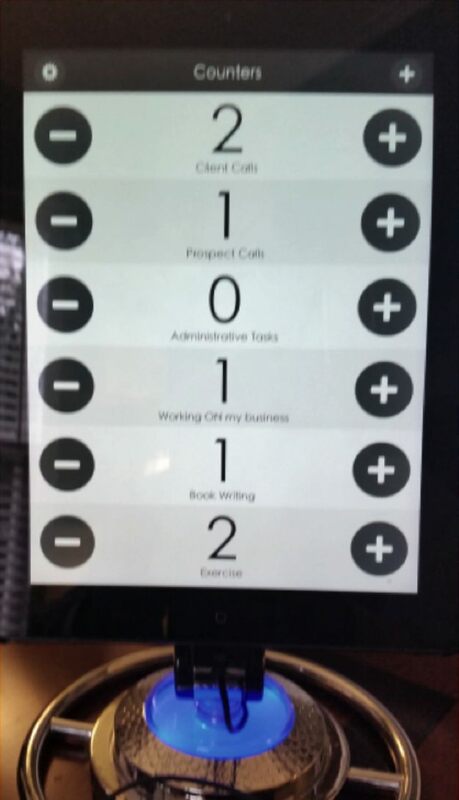 The Tally Counters app allows you to display up to seven “counters.” It does not provide the essential elements Massimobile or other third-party apps do. For a daily counter, though, it does the trick. I also have a second, more rudimentary approach to tracking our daily metrics. I use our Daily Activity Tracker Worksheet. Keeping score on your daily tasks may not be rewarding. The results of this simple practice, though, are significant. You have the choice what metrics to use. You can also decide whether to track your weekly or daily progress. Whatever you prefer, always remember: you don’t know if you are winning unless you keep score! Make tracking one of your good habits in running your CRE business. Are you still cold calling? There is a better way! Top producers don’t cold call, they execute a targeted and proactive prospecting campaign. Here is a 5-minute audit to see how your prospecting stacks up against the best in the CRE industry! Take the Prospecting Audit. Editor’s Note: This article was published on March 9, 2015, and has been updated for quality and relevancy. I’ve modified my ClientLook activity fields to track all of my Massimobile metrics. At the end of the day or week – I do a look back by category and transfer the data to Massimobile. Super simple and flexible. If interested – I can show you next week.